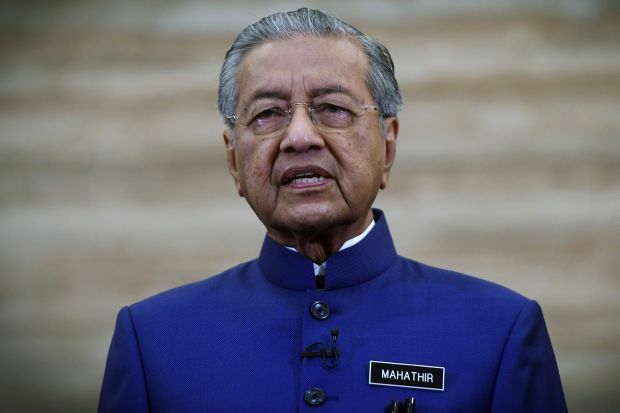 PUTRAJAYA: Prime Minister Tun Dr Mahathir Mohamad yesterday called on some of the Pakatan Harapan government leaders to change their socialist way of thinking and cease their continued criticism of the capitalist system. The prime minister said the government of today was made up of those who had been in the opposition for more than 60 years and some of them behaved as though they were still the opposition. Nonetheless, according to Dr Mahathir, on becoming the government, they should not hit out at the capitalist system as the system enriches the country and the states. “They (businessmen) are the ones who invest their capital, set up businesses and industries, provide employment and pay taxes. Without taxes, the government will not have sufficient funds to administer the country or states,” he said. The prime minister also criticised the government leaders who had yet to foster good relations with businessmen. “Some still think they (businessmen) oppress workers and the people. But if there are no industries and if they do not succeed in making big profits, the government will not be able to collect taxes from them,” he said. “Thus, we have to help entrepreneurs earn profits as 26% of the profits will be paid to the government as corporate tax,” he said. In the states, Dr Mahathir said, the presence of industries would provide jobs for the people and the state government could impose various taxes. “As such, we have to be close to entrepreneurs and traders, and cooperate with them so that they can succeed and the government can collect taxes from them,” he said. Dr Mahathir also called on all quarters, particularly the Pakatan leaders, to exercise caution with regard to racial and religious sensitivities in the country. He said Pakatan, as a coalition of parties comprising various races, should be careful that nothing is said to offend any race or religion. “Regardless of whether we are Muslims or non-Muslims, we must not criticise other races or religions. “If there is a problem of communication, we have to refer to the government and not give opinions in public. That’s not our way,” he said. Dr Mahathir said discussions had to be held within the party so that solutions could be found which demand the compromise of all quarters.